Castelo de Vide is a mountain village in Alentejo. Reached by infrequent buses from Portalegre. It's worth spending some hours here. 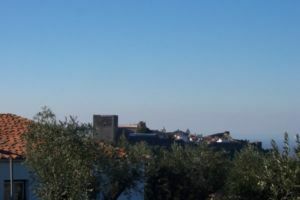 You can see this before walking to Marvão if you are sleeping at the latter village. Alternately it is possible to return to Portalegre and get a bus to Marvão shortly after 18.00. You can walk all around the castle and the oldest part of the village without any charge. below this area is the area where many Jews settled after being exiled from Spain in 1492 and there is an old synagogue building that hardly differs from the adjoining houses.